In preparation for the impending final release of the Falling Kingdoms series *eek*, we are singing our praises for the third installment, Gathering Darkness! I must admit that this is the book that really made this wonderful series unforgettable to me. Magnus and Cleo start to turn a corner and *stuff* really begins to hit the fan! We are so honored to be involved in this tour and cannot WAIT for more people to fall in love with this addicting and unputdownable series. We are hoping for nothing but the best....but waiting this last month might just be the end of us as we await everyone's fate! Below is a 5 star review and all you need to know about anyone and anything from these stories (though, who needs to learn about anything other than Magnus? Hmmm...I may be biased). Enjoy! 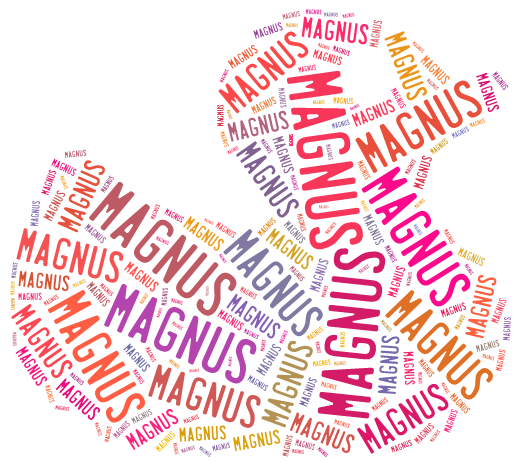 It’s always extremely hard to talk about each book in a long series in a review, because you begin to spoil and become repetitive….but for Magnus?? I’d try just about anything. This series, while easily dismissed by those who aren’t truly enraptured by one of the characters, has a way of really getting under your skin. It’s not so much the scenarios, though those are of some note as well, but about the characters and the deep-rooted connections you make with them. In all honesty, had I not connected immediately with Magnus, this series would have been discarded like many before. I am very busy, and I really only get to read around when I go to bed-about 10 PM, and then it’s right back to the 8-5 grind and I have to wait all over again. So, when I begin a book, series, whatever, I make sure it’s worth my time and that it touches my heart, one way or another. Some books touch me because of just their content (this is probably tribute to a couple years ago, more so than now) and some reach me on a far deeper level than I could possibly imagine….and that is because of the characters. Magnus glanced at Cleo. She held her arms across the bodice of her rose-colored gown, which was far fancier than anything typically worn on a walk through a thick forest on a hot day. She regarded him with a silent, sour expression-not a new look for her by any means. “And why are you here?” he asked her. “I want to help,” she replied. I never realized, until recently, how much my favorite books really center on the characters and their development. It’s far more important to me now to have character-driven stories rather than all action and no character arcs. Sure, my absolute favorites are those that perfectly balance both story and people, but, lately, more often than not it’s all about if the characters reach me and touch my soul. Some sought revenge against their mortal enemies with the edge of a sword. Her plan for vengeance began with the edge of a smile. And I’m not saying that action doesn’t pull me in….but it’s definitely not my only drive anymore….and you can tell solely on my reviews that my preferences have changed. So, my point? This series, while action heavy and full of blood, destruction, mayhem, and peril, didn’t grip me for that reason. No, this series gripped me on a far more addicting level, and that honor solely belongs to my dear Magnus….and even Cleo. As the series has progressed, these two characters have obviously grown, interacted, and became the obsession of many a fangirl-me included-and now, here in book three, we are really getting deeper into their minds, and with that, my obsession is reaching an all-time high. And, frankly, the stories have became far more interesting. It took him a moment to realize he’d stopped breathing. “And what difference would it make if you’re right?” he finally managed. And, let’s face it, our ship is finally sailing…or is it??? The other best part about this series? I, for once, literally have no clue what’s going to happen and the sexual tension is DRIVING. ME. CRAZY. The twists and turns and admissions and deaths and ridiculous decisions…I swear, even halfway through book four, my head is still spinning. Stop it, Morgan Rhodes! Just…..STOP IT. Make it happen. Fetch TOTALLY needs to happen…PLEASE?? So yeah, this isn’t a great review, but it’s not like anyone can read it if they haven’t read the series if I go all spoilery, so I chose to just…blabber. I miss blabbering. Blabbering about boys and books really does make me happy. So. Yeah. Take what you will from this nonsense…I’m off to work…and then tonight I’m hoping to FINALLY get what I want. I’m totally trusting Brittney, here. She threw me a trust bone, damn it. So I guess I’m supposed to sit here and wait and…trust. You know, until this alleged bone gets here. Ugh. 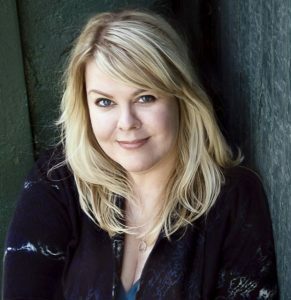 Morgan Rhodes is the New York Times bestselling author of the Falling Kingdoms series and the Falling Kingdoms spin-off series, the Books of Spirits and Thieves. Under another pen name, she’s an award winning author of more than two dozen novels. Morgan lives in Southern Ontario, where she’s currently hard at work on the next Falling Kingdoms book. I need to try this series already!! Terrific review. Love the Magnus duck. That’s too funny! Okay, I’ve only read the first book so far so I just skimmed this review a little and I’ll come back to it after book 2 (which will be soon!). But I DID find it interesting that you seem to love Magnus—in book 1, he’s not particularly lovable. Very intriguing! OMG! That’s the whole point!! He is just a big cinnamon roll of anger! And poor boy…he’s tortured, my dear prince of blood lol. Book one was not good….but the rest only get better and better. This is an absolute favorite series, despite every single flaw it has-and there are many. I, too, am shocked by my love and loyalty.